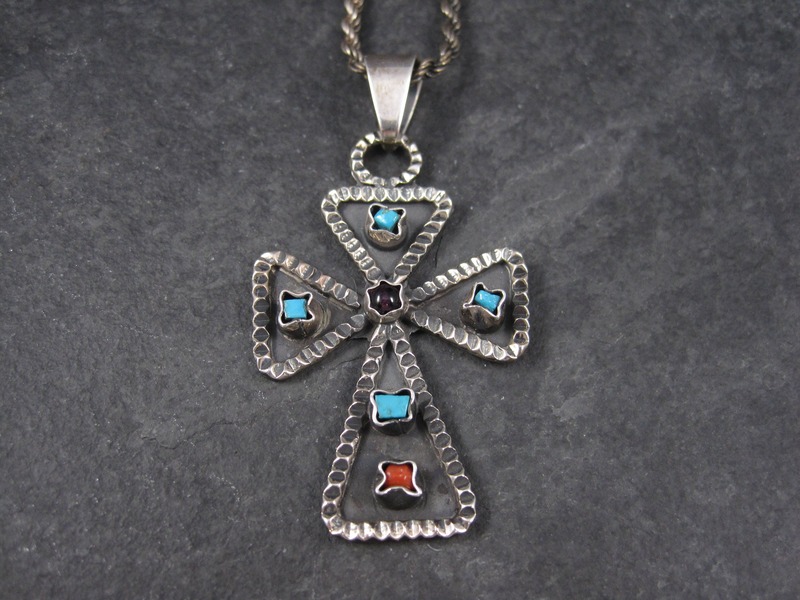 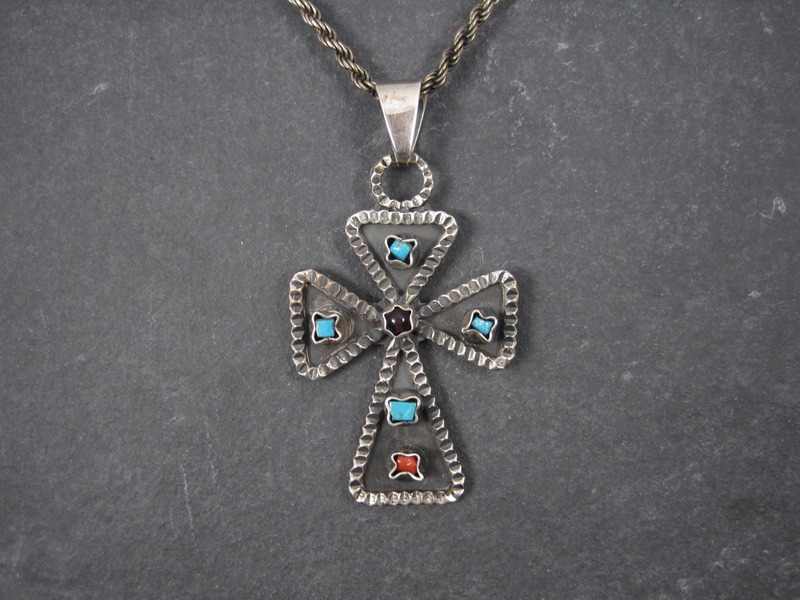 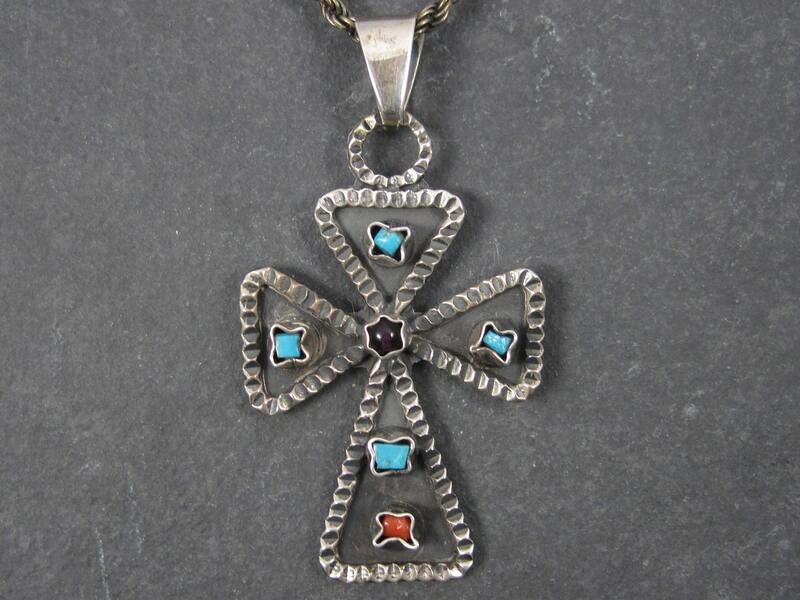 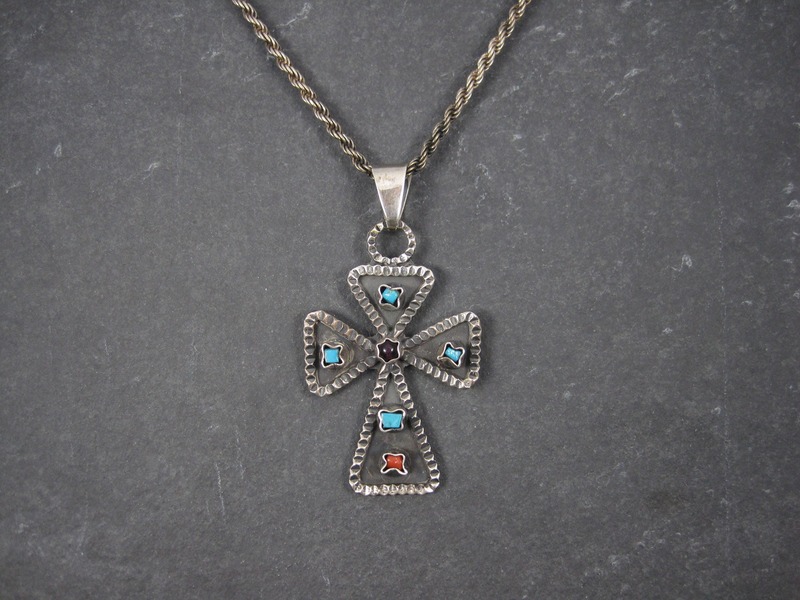 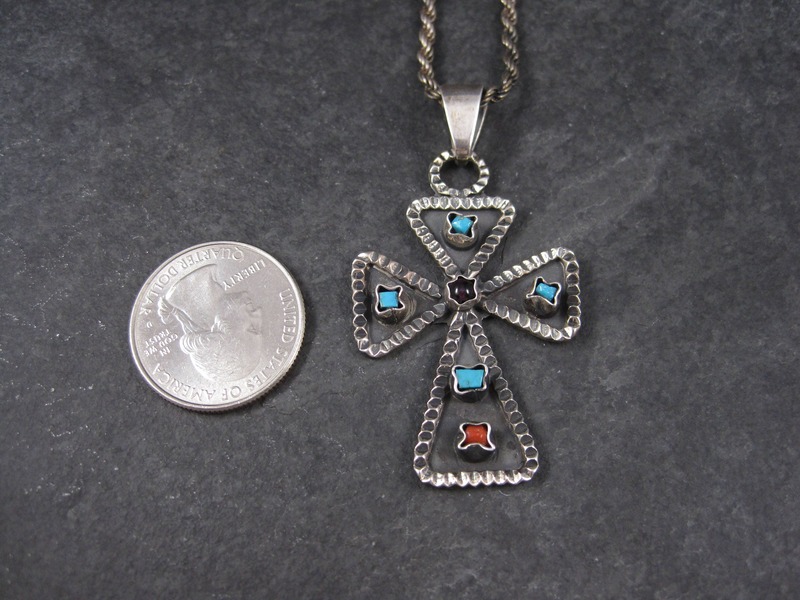 This gorgeous Mexican cross is sterling silver. 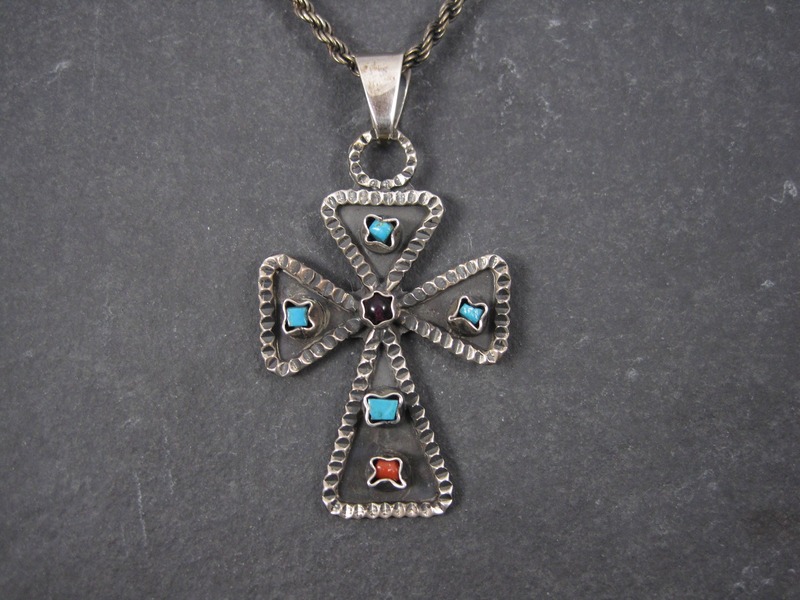 It features a style created and popularized by the famed Matilde Poulat. 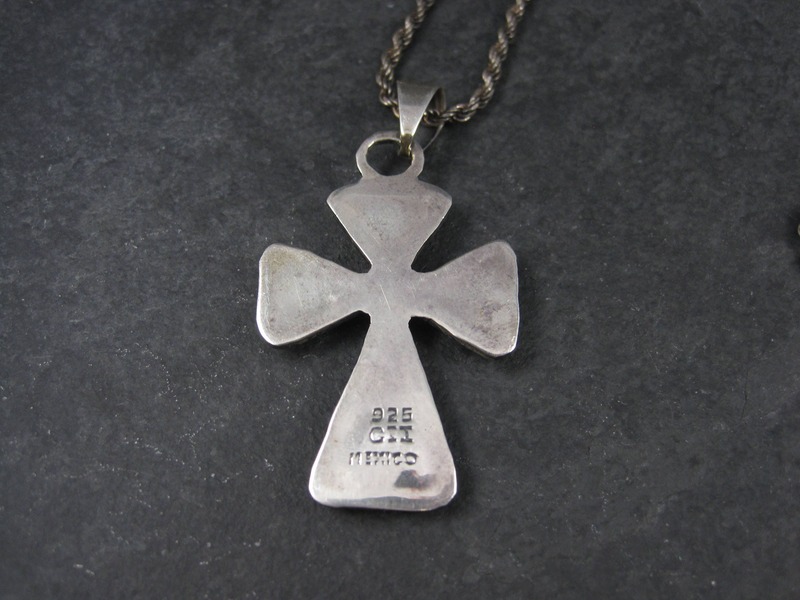 Comes with a 24 inch sterling silver chain. 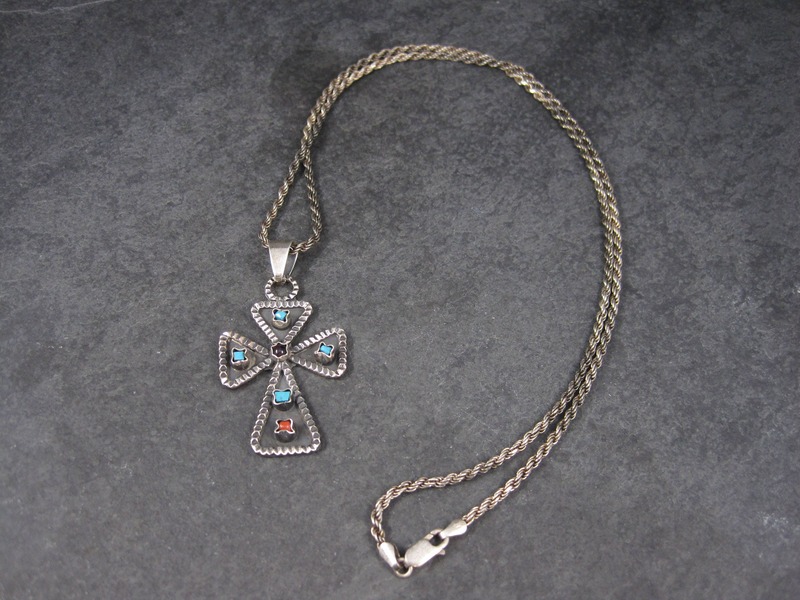 Condition: Excellent - chain has patina.